Want it by Thursday 25th April? Order within 1 day, 22 hours, 53 minutes and choose Royal Mail Tracked 24 Hour at checkout. 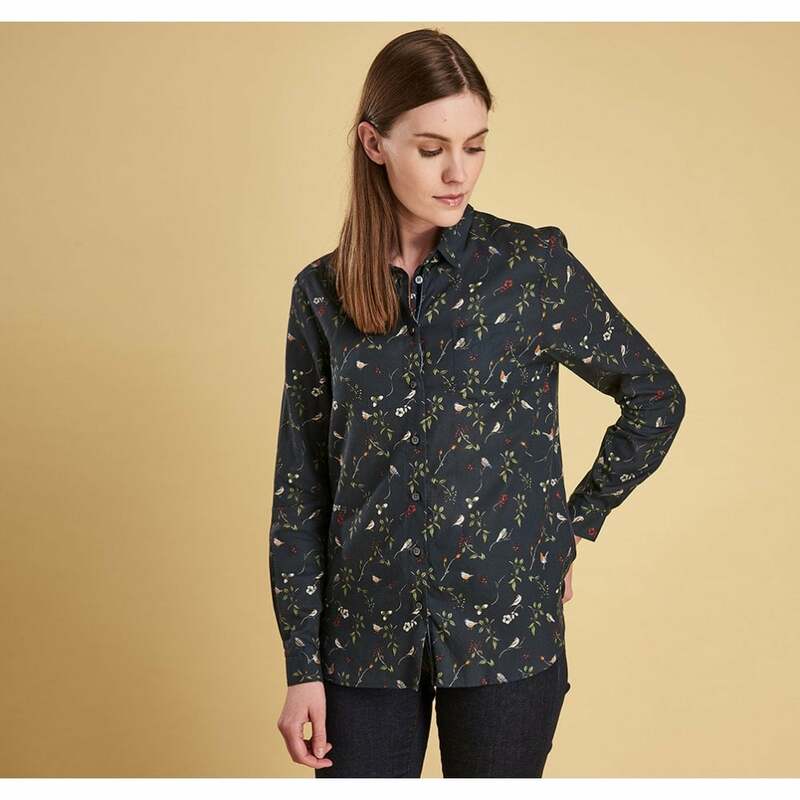 The Barbour Siskin shirt has been created from a super-soft cotton blend to provide ultimate comfort. Designed in a relaxed fit this shirt is easy to wear and gives bundles of shape and style. Extra detail has been added with Barbour branded buttons and an all over "Berry and Bird" print. Team with your favourite jeans and loafers for an effortless winter look.